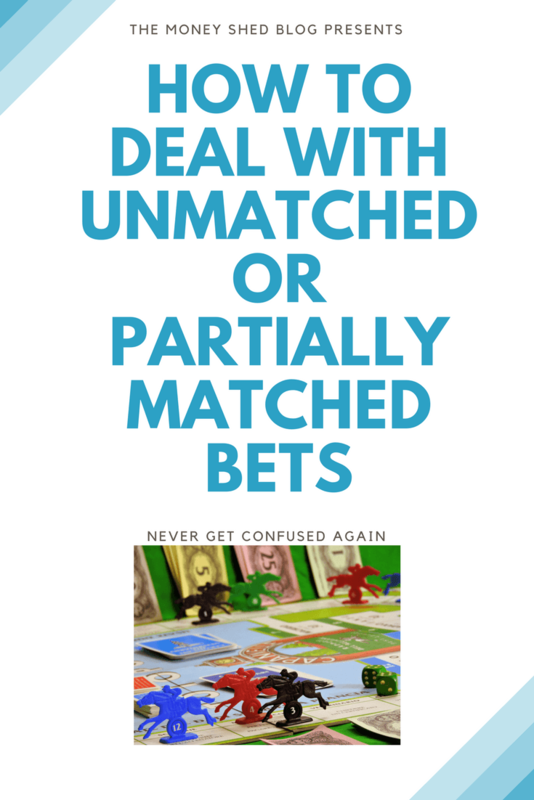 Dealing with unmatched or partially matched bets. 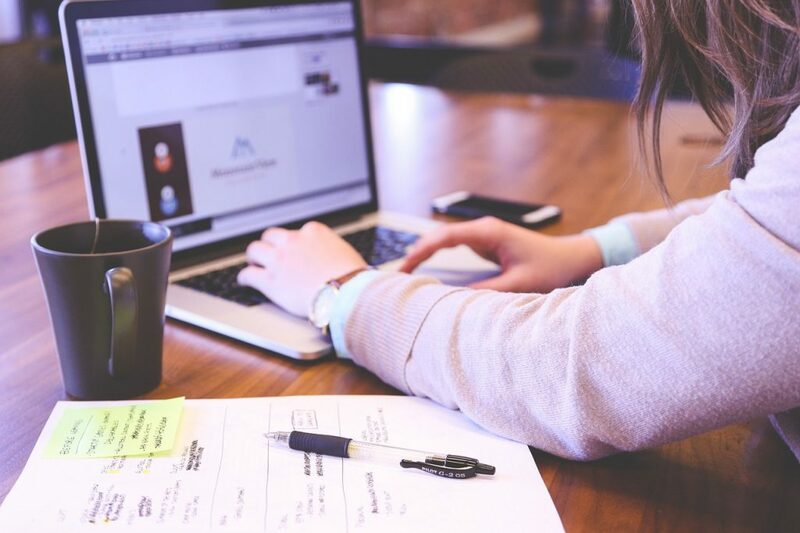 Everyone and their dog seems to be doing Matched Betting at the moment – Well why wouldn’t you? It’s a way to make £1000+ a month completely RISK FREE however if you’ve ever found yourself staring at your exchange account and wondering how to deal with a lay bet that is either unmatched or partially matched when doing it then you’re in good company – it happens to everyone who does matched betting at some point! Luckily there are some fairly easy steps to take to get yourself back on track. The first thing to do is not to panic! 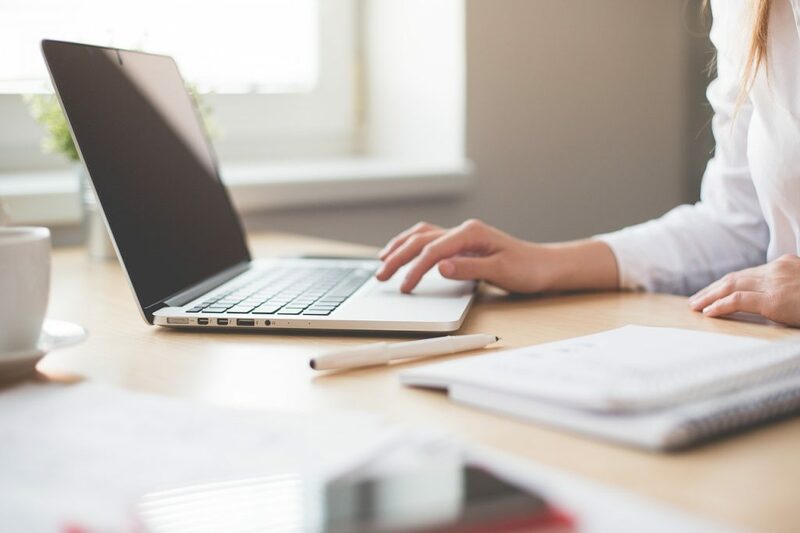 It can be worrying when you notice that your bet hasn’t matched like it usually does, especially if it’s the first time it’s happened to you, but there is a straightforward way to fix it. Don’t be tempted to leave it and hope it all works out okay, because if your bet doesn’t win at the bookies then you will find yourself having lost your stake there and not having the winnings at the exchange to balance it out or get your profit. Why is my bet unmatched or partially matched? 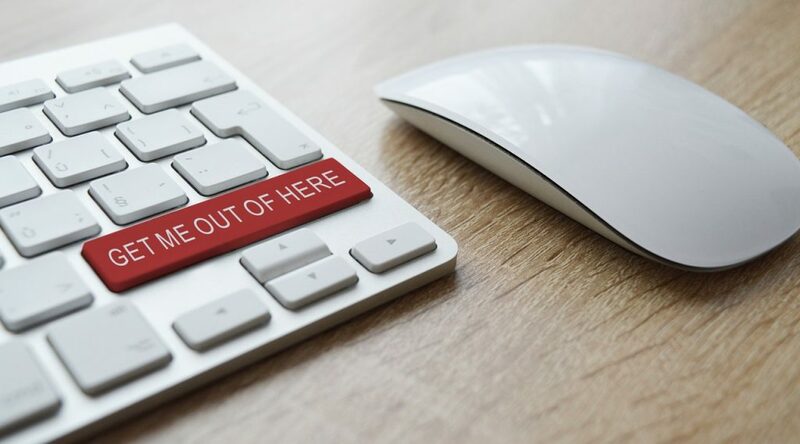 The odds have changed/drifted – sometimes in the few seconds between placing your back bet at the bookies and going to the exchange to place the lay bet, the odds at the exchange have changed. Sometimes this change might be 0.01 of a decimal place and you don’t even notice, or the change in odds can happen literally as you are clicking to confirm your bet. 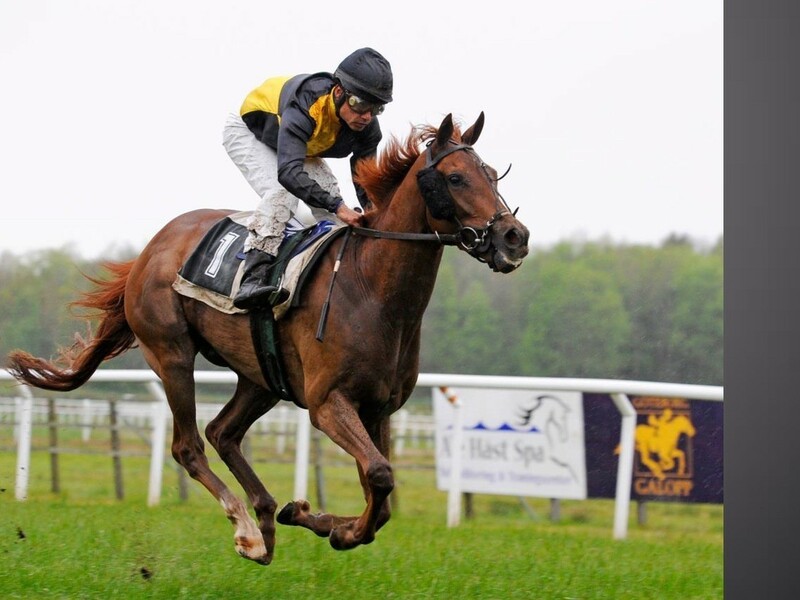 Be aware that odds can change rapidly in the 20-or-so minutes before the start of an event, especially with horse racing. This is also true of in-play bets. What will happen if my bet remains unmatched or partially matched? If you leave your bet unmatched and it does not match by the time the race or match begins then your bet becomes ‘lapsed’ – in other words it is has been voided off and HAS NOT been placed, so if the bet wins at the exchange then you will not be paid out any winnings. If your bet is partially matched then only the part of your lay stake that has been matched will still be valid – the unmatched part will be lapsed also. This has more than likely happened because the odds changed by the time you went to place the bet. This is easy to deal with. An exchange will let you cancel unmatched bets. 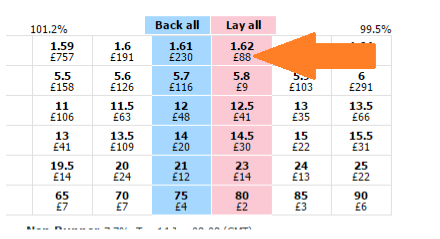 Simply press ‘Cancel unmatched above’ (Betfair, below left) or select the bet and click on the ‘x’ (Smarkets, below right). From here you simply go back to the normal calculator and start again, putting in the newly changed lay odds and calculate your new lay stake, have a quick check that there is enough money in the market at the new odds and then go ahead and place the lay bet as normal. Easy! Sidenote: after you have cancelled a bet on Betfair Exchange you will get a receipt where your betslip was. Double check that the amount cancelled was the full amount…sometimes before you have time to cancel an unmatched bet some of it may be matched. You can double check this by going into My Account > My Bets, and seeing what open bets you have. 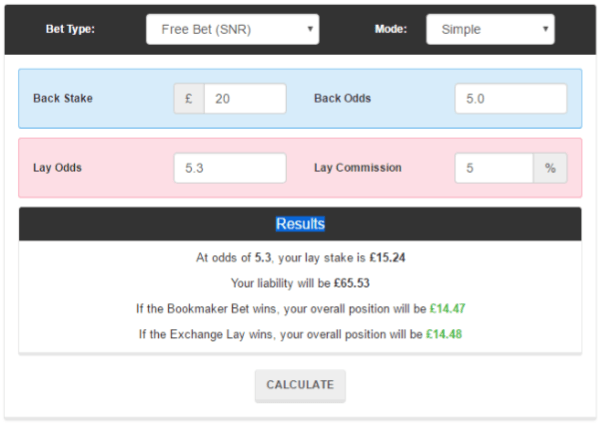 On Smarkets this is easy to see as it will appear in the right-hand column under ‘Your Bets’. Step one: Wait a few minutes and see if it will match – it’s quite normal for odds to increase slightly and they may drop back down as more money enters the market. However, do not do this if the event is going to start soon or if you notice the odds begin to increase more and more – simply move straight on to step two. Step two: Cancel your unmatched bet, as explained above. Now you will have a partial lay in place. You need to calculate how much more to lay at the new odds so that you’re back on track. Step three: Open up the Trickybet advanced calculator and enter in all of your information about your bet – bet type (qualifier or Free Bet SNR), back bet stake, back bet odds, CURRENT lay odds, exchange commission percentage. Then comes the most important bit – in the grey box on the right you need to enter the information of the partial lays you already have in place (how much and at what odds). Step four: Press ‘Calculate/Refresh’ and in the middle underneath ‘Standard Match’ it will tell you how much to lay. Copy that amount, go to the exchange, double check the odds haven’t changed again, and place your let bet. Done! The calculator is telling us that we need to lay £9.86 at these new odds of 5.5, taking into account the part lay (£5.00 at 5.3) already in place. We go back to the exchange, check all of the numbers are still correct and then place the lay bet. Double check everything is matched. Done! Sidenote: A riskier strategy is to just wait, watch the odds and see if they drop back down and your bet is matched. This can happen often as an event draws closer but is not an exact science – odds can go the other way and keep increasing higher and higher. THIS IS NOT RECOMMENDED FOR PEOPLE NEW OR UNFAMILIAR WITH BETTING. Even the most experienced gambler cannot say for sure if odds will drop before the start of an event. Make sure there is enough money in the market before placing ANY bets: When you look at a form on an exchange website you will see a monetary amount underneath the odds for each team/horse. This amount is how much money there is in the market at that time and it is important that this amount is higher than the amount you need to lay, so your bet will be fully matched. Check there is enough money in the market before placing your back bet at the bookies. Looking at the example below, if we tried to place a lay bet of £20 on Espresso Freddo then there is currently only £7 in the market; this means that £7 out of the £20 lay bet would match and we would have a £13 unmatched bet. If there is not enough money in the market then just wait a little while (don’t place your back bet at the bookies yet!!) and see if more money enters the market, or alternatively just find another match on a different event. Check, check and check again: An obvious tip, however it is excellent practice to double check everything at least twice when placing lay bets at the exchange. After you have placed a bet at the exchange have a look at your open bets to see if everything is exactly how it ought to be and that your bets have placed and matched fully. Make sure the odds on the betting form match the odds on your betting slip: In the example below the lay odds were 2.84 (as highlighted in the betslip) however in the few seconds it took to go to the bookies and place the back bet, the odds at the exchange had increased to 2.88 – ordinarily this is no issue, we can just swiftly go back to the calculator and calculate how much to lay at these increased odds, however if we didn’t notice the difference in odds and attempted to place the bet then the bookies would take your bet at 2.84 and be unmatched. It is easy to do this without noticing so I refer you back to the point about double checking everything! Avoid betting on a game or race hours/days before it starts; especially with horse racing. Waiting until the day of the game or race means that there will be more money in the market as the average punter will be putting on their bets in the few hours before the event starts (this is particularly true of horse racing). When it comes to bigger games (like the Euros, for example) then there is usually plenty of money in the market in the days leading up to the game. However, waiting until the day of the event is also better for your bookies account as it makes you seem like a normal customer. That being said, it is also good practice to avoid betting in the last few minutes before the start of an event because the odds can move wildly, with horse racing markets being particularly volatile in the last 15 minutes before the off. Moreover, if you do make a mistake or have an unmatched/partially matched bet then you have less time to rectify and panic can set in, often leading to further mistakes. For in-play bets, wait until half-time: again the odds can move around up and down quickly during an event but the odds stabilise and move around less during half-time. Why not pin this image for later? Lottoland – All your gaming needs in one awesome place!